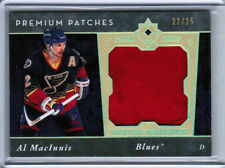 You are looking at a 07/08 UD SPX AL MACINNIS #126 FLASHBACK FABRICS DUAL JERSEY AUTOGRAPH CARD. Combined s/h for team sets and lots will be a bit more. 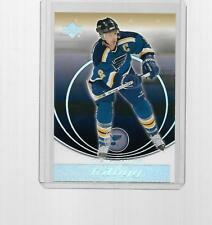 You are looking at a07/08 UD ULTIMATE COLLECTION AL MACINNIS PREMIUM SWATCHES QUAD JERSEY CARD #15/50. Combined s/h for team sets and lots will be a bit more.